WWDC started on June, 6th with introduction of Apple’s new mobile OS version — iOS 11. 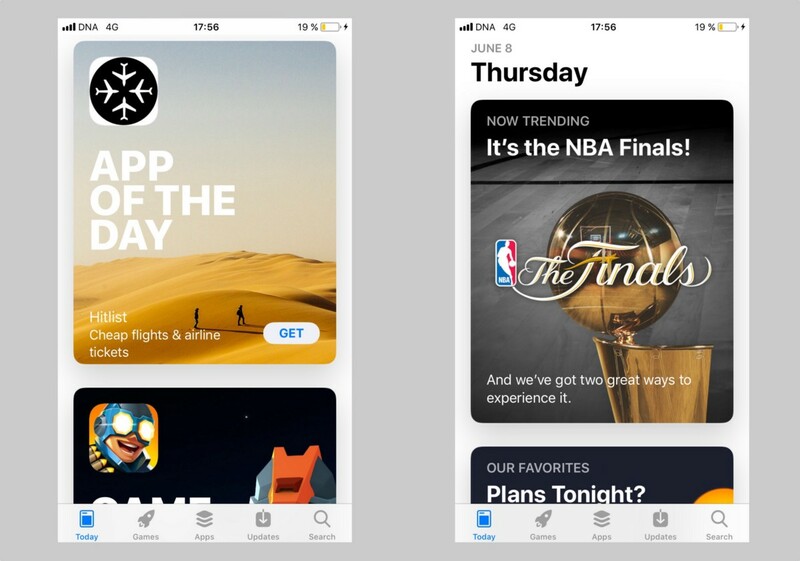 Together with other updates and improvements Apple made one huge and quite unexpected change — it completely redesigned App Store. 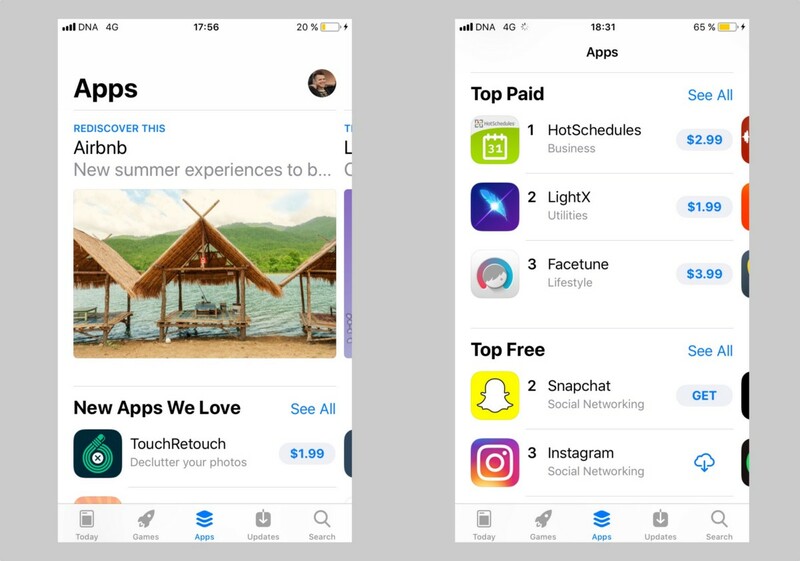 That’s really great news but this will impact all iPhone and iPad apps together with their ASO strategies. That’s why the AppFollow team decided to take a closer look at new App Store. New design reminds of Apple Music app which was introduced last year so we assume many people already got used to it. 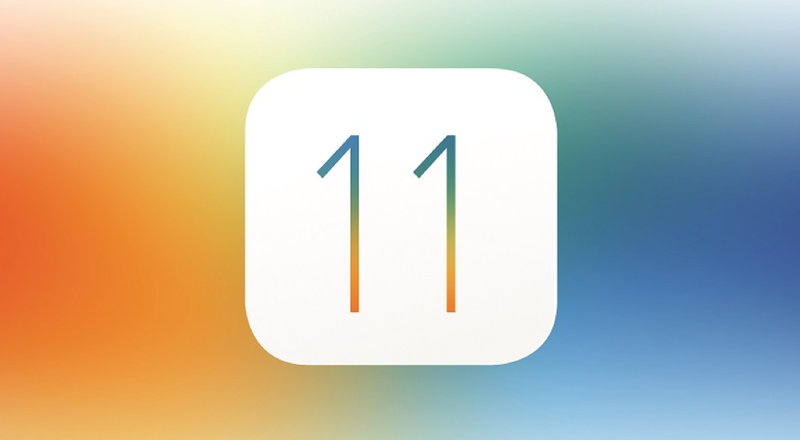 1.1. Everything got bigger, much bigger than before. It relates to font sizes, icons, screenshots and illustrations. 1.2. Videos play automatically & muted (hello Facebook!). By the way, this is turned off for China and India. 1.3. 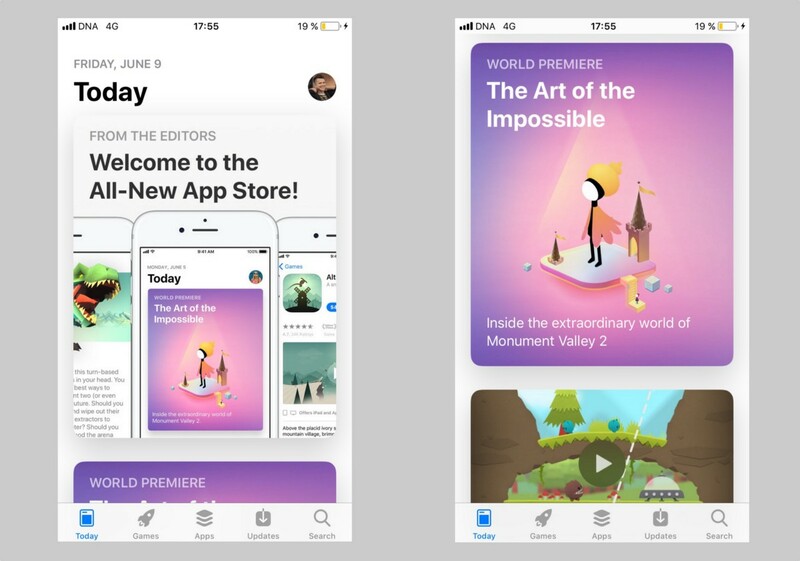 New editor’s tab “Today” includes stories (From the Editors), world premieres, new releases (Game of the Day, App of the Day) and daily app selections. Right now all publications are only in English. But Apple promises to update this section every day for each country! 1.4. Finally games and apps are separated. They are now on two different tabs in the menu. And no Home Page as it was before with featured apps & collections. 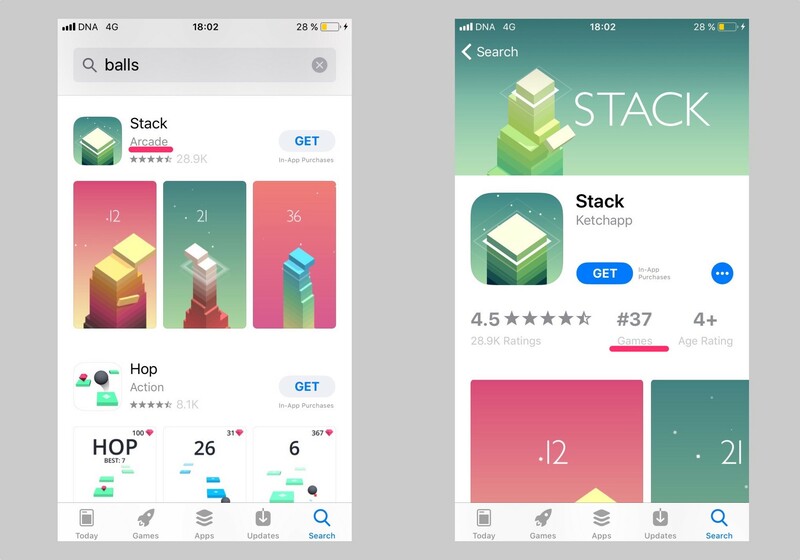 We as well noticed that already installed apps do not appear in top charts preview on Games & Apps tabs. 1.5. 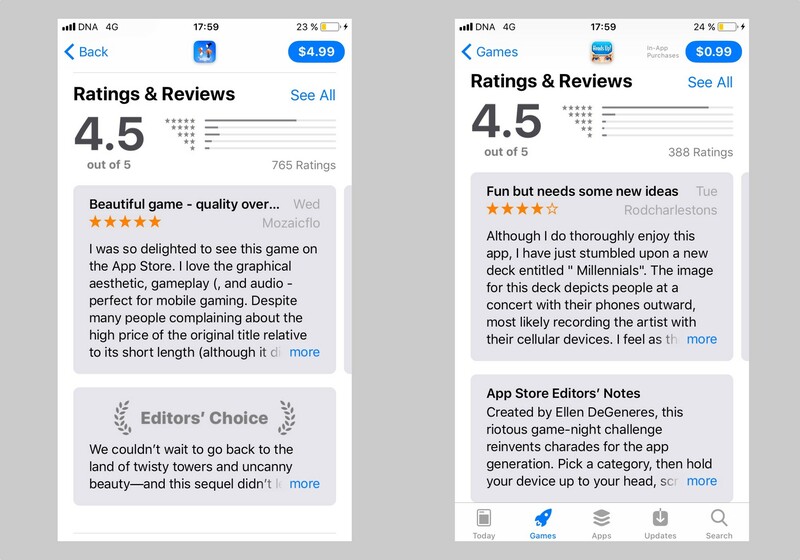 Both tabs have Featuring section with New and Editor’s selection, then comes Top free and Top paid charts and last but not least — categories list and in-apps (!). 1.6. Important notice: at the moment there is no grossing apps and games chart. Looks like it’s not a bug but an intended feature, and this means this is a huge move from Apple’s side. How companies will compare who is earning more since now? ? 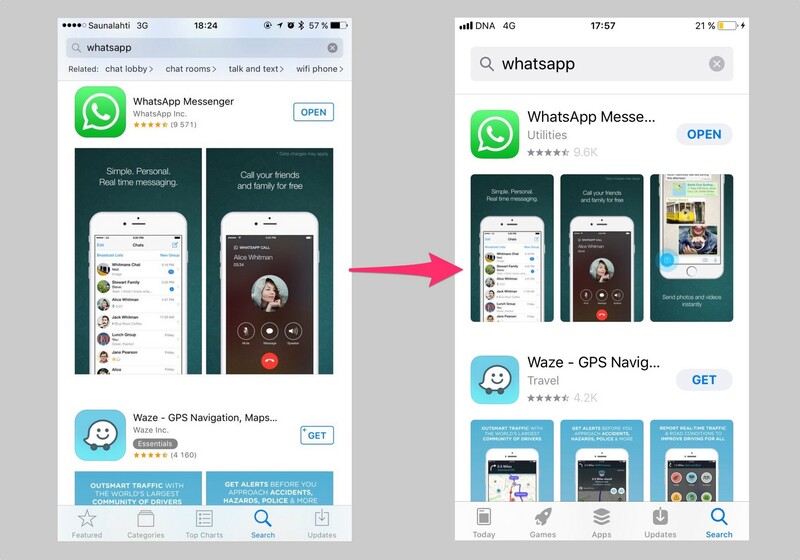 Big question I have from WWDC: what happens to app store intelligence firms with Grossing chart going away? 1.7. Menu tabs “Updates” and “Search” exchanged places. 1.8. Search page still has trending searches just in new design. 1.9. Important! 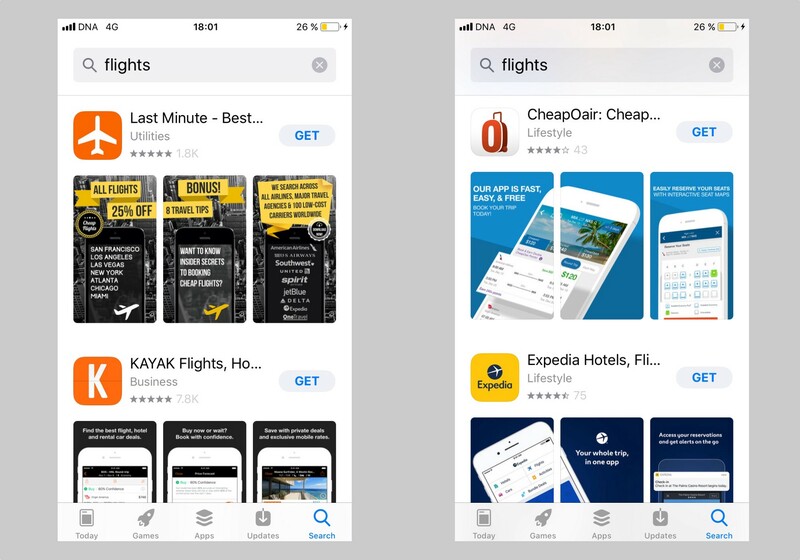 There will three instead of two vertical screenshots in search results (hello Search Ads!). 1.10. Product Page changed significantly (hello Google Play!). We covered them all in a separate section below. 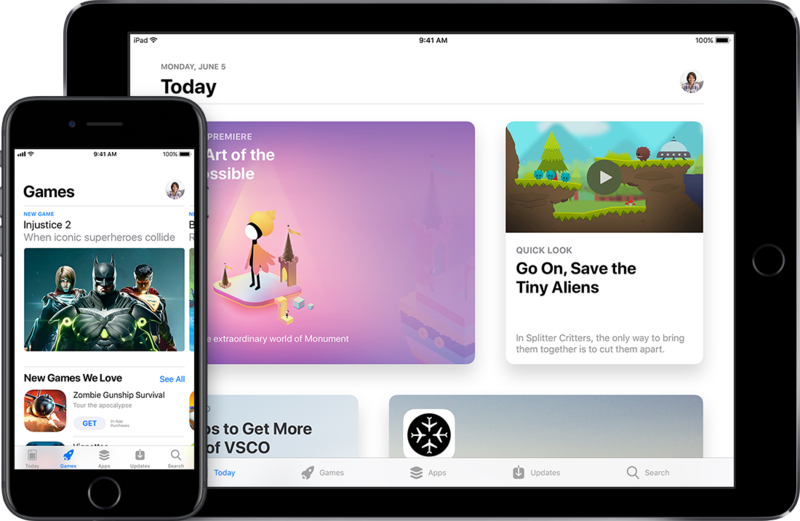 It seems like with new interface Apple is trying to solve main App Store problem — new apps and games discoverability. You can learn more about these updates here. 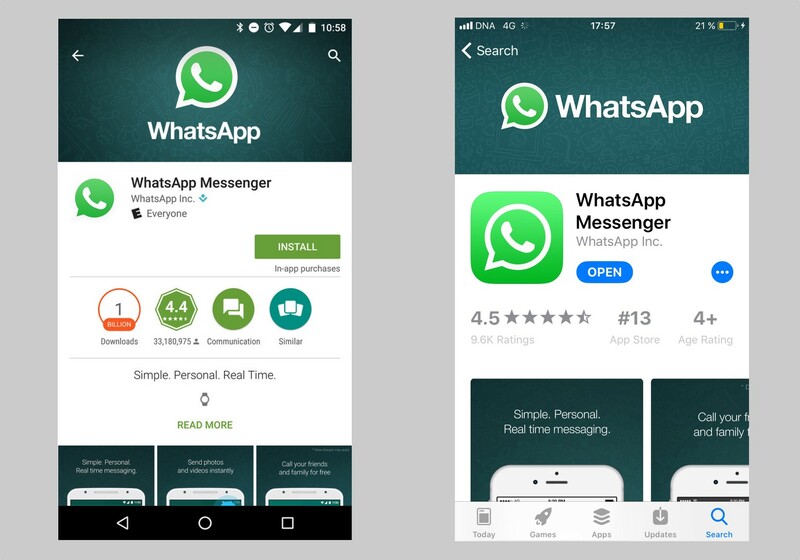 Some apps have got a promo banner above app name and icon. It feels so similar to Google Play! Unfortunately, not every developer can set up this banner. This has to be “deserved” (Google Play doesn’t have this limitation). 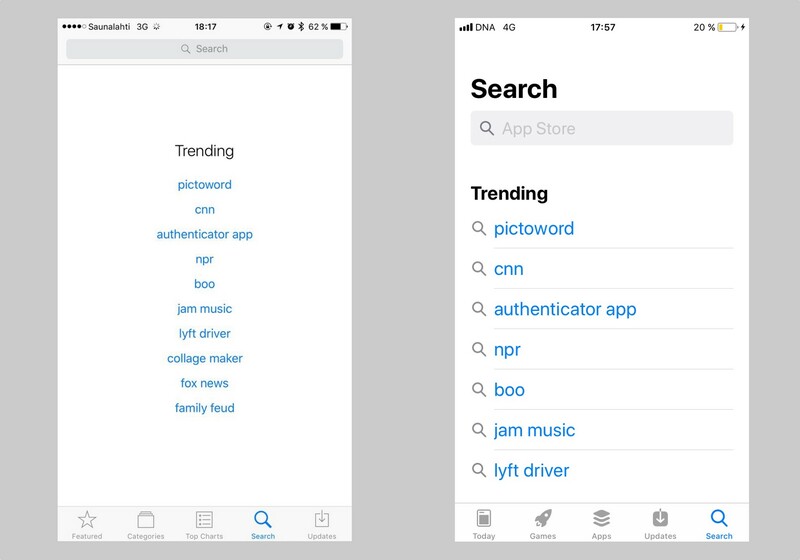 For a long time Apple was fighting with webmasters and SEO experts who made use of long app names which were only partly visible in the App Store. At the beginning there were max. of 255 characters for the app name. A year ago this number was down to 50 characters. And now there is a new limit — max. 30 characters. Same as in Google Play. iTunes Connect hasn’t added this limit yet, it’s still 50 characters there. Most likely this will change with iOS 11 launch this fall. Google’s response was damn quick. They increased name limits from 30 characters to 50. Quite a shuffle! “Just a coincidence? Don’t think so!” ? Apple decided to compensate app name length by adding subtitle. This text field is also limited to 30 characters. It’s recommended for describing app features instead of general comments, e.g. «world’s best app». If you already installed an app (even if it was deleted afterwards), last update text is shown right after Ratings section and is visible on the first screen. It means that What’s new will serve as a re-engagement tool to return users back into the app. Thus, it makes sense to write a proper update text rather than common «Bugfixes and improvements». If user never installed app, What’s new section is shown below Reviews. Now you can add up to three videos (App previews), separate for each language. The first video will be autoplayed once it gets into the visible zone. Video requirements are described here. Note that if app hasn’t been installed before, horizontal videos and screenshots will be visible within first screen. It’s a great way to help users learn more about new app in a more easy way. Other devices screenshots (iPad, Apple TV, Apple Watch) are as well available for examination if app supports them. Still first few description lines are the most important as they are visible for user by default and placed before the link “More”. New! One can now add any app promotional text in a special Promotion Text field, it has 170 characters limit. This text can be updated without new version release and it won’t be indexed for app search. Apple significantly transformed this section. There will be no need to go to a separated tab anymore to check rating or to read reviews. All is on one page. Replies to reviews are also here. Average app rating is now much more noticeable. It looks like it will have more impact on installs. 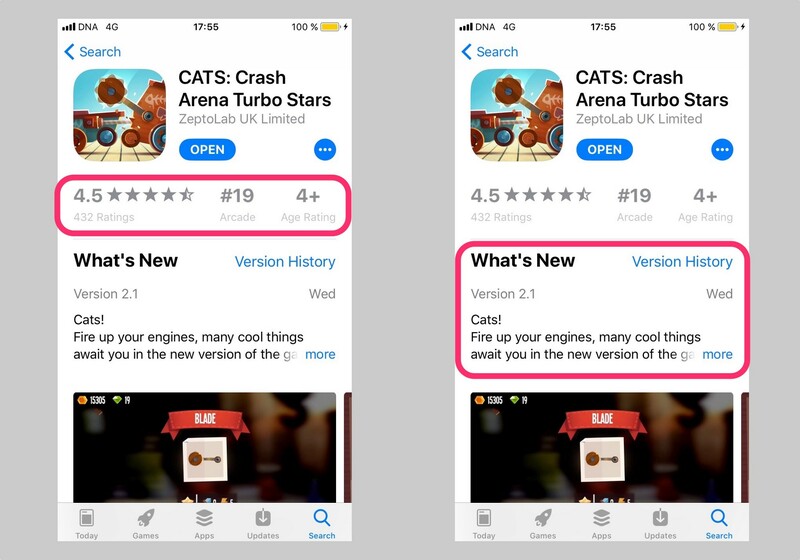 By the way, when updating app, developer can set this rating to zero, so last versions bugs won’t affect new users decision to install app or not. More details about reviews and replies you can find here. New! 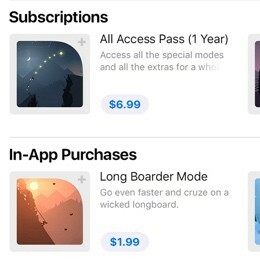 If app has in-app purchases, they can be promoted on product page in Subscriptions and In-App Purchases sections. 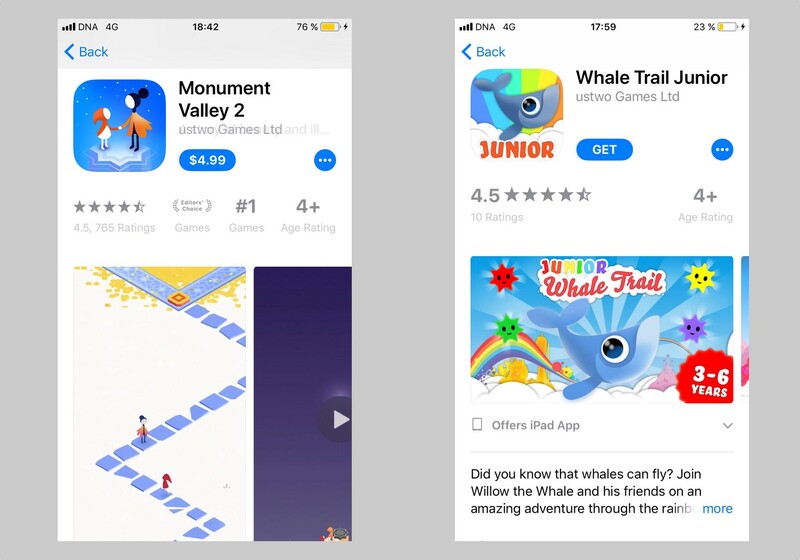 One can show up to 20 in-app purchases and even more — user can make a purchase without launching an app. Unfortunately, this block is not yet visible in the first iOS 11 beta. More information about all product page updates is here. Follow this link to see whole new product page screenshot. 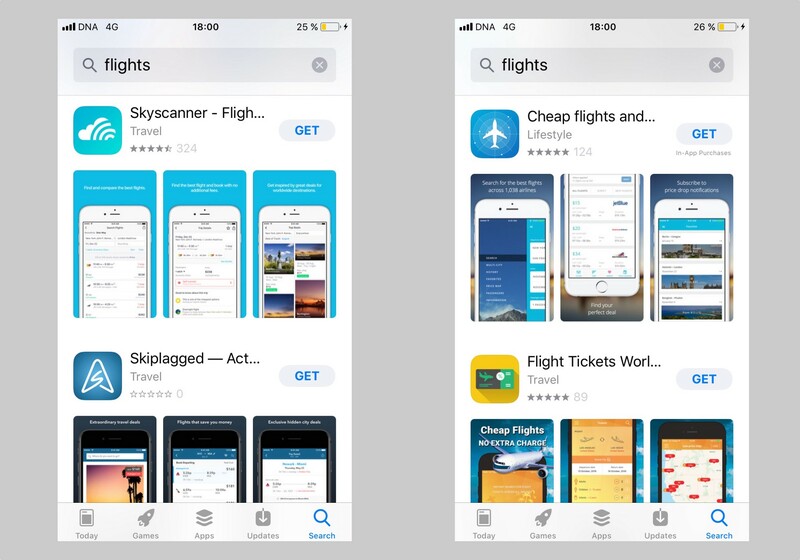 As mentioned before, there are three instead of two screenshots visible in search results, if app has vertical screenshots. This update significantly reduces the size of each screenshot and, as the result, it’s impossible to read anything on many of them anymore. Developers should update their screenshots before iOS 11 launch. It’s especially crucial for those who receive a majority of traffic from search. Horizontal screenshots and autoplayed videos look great. Perhaps, it will work better than three static vertical screenshots for many games and apps. 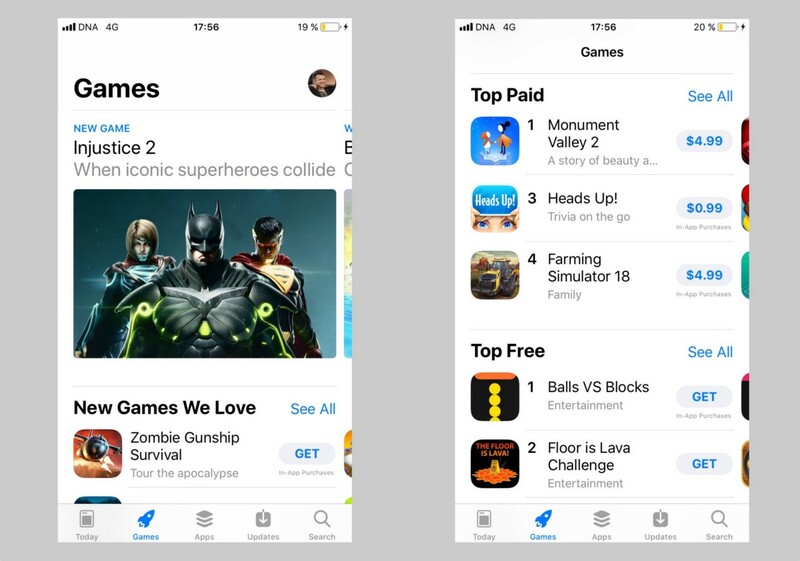 In App Store update description it is said that search now will include «developers, in-app purchases, categories, editorial stories, tips and tricks, and collections». Also search results now show app category and for some of the apps it is their secondary category. Possibly, this is bug and will be fixed before iOS 11 launch. Obviously, these updates will have a significant impact on ASO for the App Store. 4.1. App name and subtitle — up to 30 characters. 4.2. Up to three videos for each language. 4.3. Three initial vertical screenshots. 4.4. Ratings for all versions which can be reset to zero if necessary. 4.5. User reviews and developer responses. 4.6. 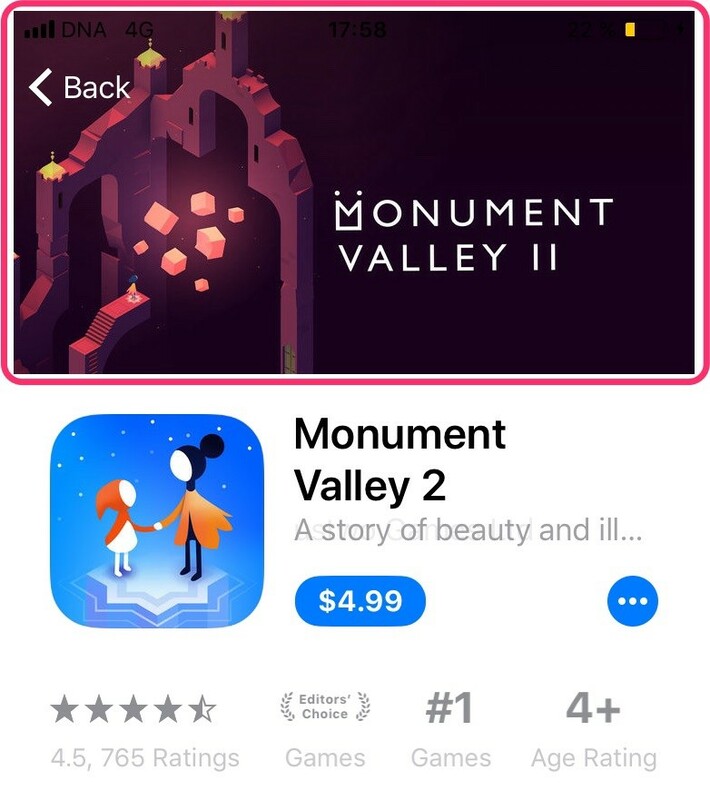 In-App Purchases promotion on Product page. 4.7. Promo text for special announcements or new features. 4.8. What’s new text field to bring old users back. There are formal requirements for ‘featuring’ as well as special application form both for Featuring and Today, learn more here. First time Apple made such significant change in App Store since its inital launch in 2008. 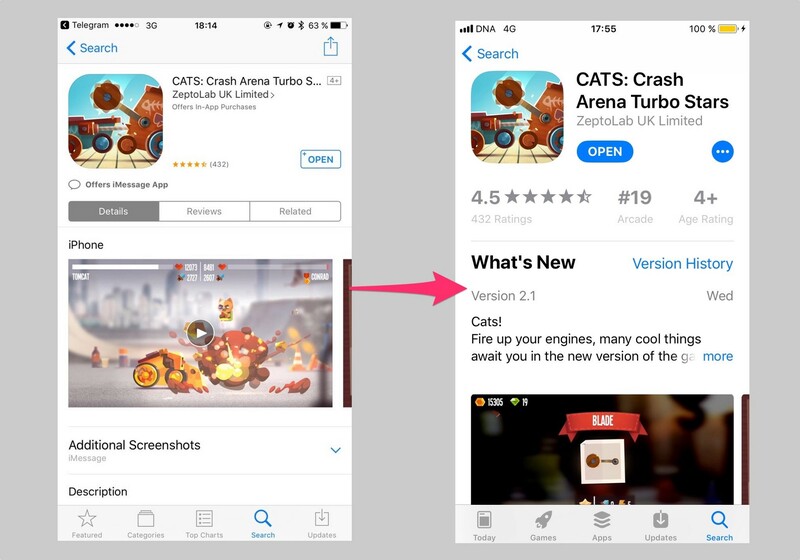 Mainly these updates are intended to improve user engagement: more apps and games impressions mean more installs and profit. It’s necessary to adjust apps before the iOS 11 launch (fall 2017).